Disclaimer: Courtesy to Xpac, most of the pictures were taken from the Facebook page. 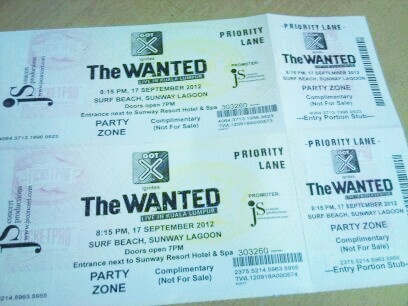 Thanks to Nuffnang, I received a pair of Party Zone tickets to The Wanted Concert on 17/09/2012 at Sunway Lagoon. 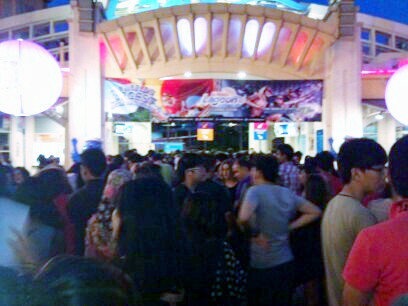 Since there wasn't anyone to explain the purpose of priority lane, le girlfriend and I queued with the crowds. Not to say I were upset because I thought I would be in the XPAX Zone. Sigh, I missed the chance to take a closer look on The Wanted. To my surprise, there were a lot of youngsters! And I meant the kids. So I guess The Wanted is the new generation for The Backstreet Boys? Warm up set by DJ Goldfish & Blink. They sure know how to please the crowds. Remixed songs such as Titanium from David Guetta and Skrillex's version of Levels. Hope they can do better at the David Guetta's party. Kyle Patrick was the next one to cheer us up before The Wanted came. I don't know about him until I heard the songs he sang. Sorry ler, too many new guys these days and I'm kinda lazy to know who is the singer. Anyway, he is one hell of a good looking guy, with decent vocal too. I sort of like he sang the song "Happy Birthday". 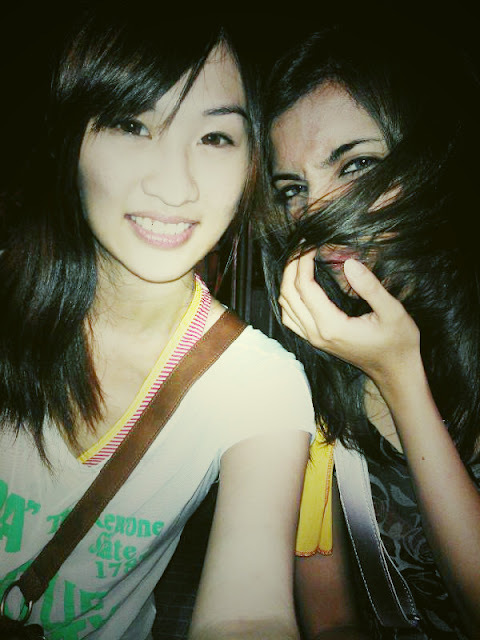 While waiting for The Wanted, le gf and I were so bored till we selca ourselves. After an hour of waiting time, The Wanted appeared on the stage and they are uberly cute! I have always keep an eye on Max because of his unique vocal, with a mature look. He is so handsome wtf! So there they were, on the stage, requesting for 5 girls! How I wish I could one of them. The Wanted hugged them and kissed on the forehead wtf?! I just wanted to be in Max's arm and it seems to be the mission impossible. The best part of The Wanted is when they sang some covers from Coldplay. Songs like Viva La Vida and Fix You. It was unbelievable because I have no idea they sang it well! Le girlfriend and I were waiting for the hit songs: Chasing the Sun and I'm Glad You Came before we rush home. However, we both managed to only caught up with Chasing the Sun as we wanted to avoid the traffic jam. Lastly, ending the post with my chio photo. NAH, I chio or no? 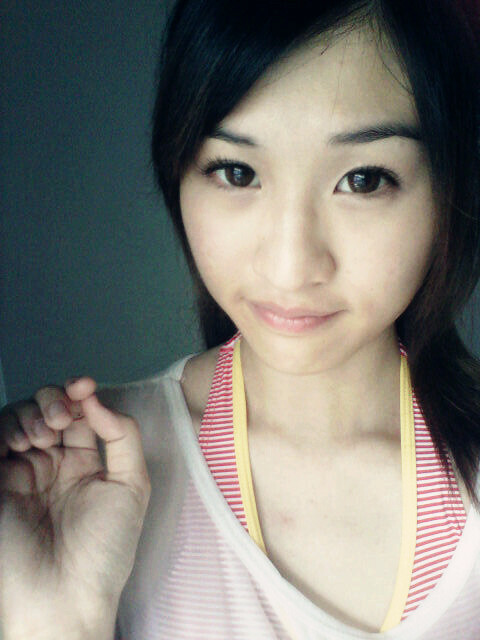 I feel myself very chio leh. But only at this angle and some lighting editing. P/S: Please Malaysians, do not be so keh po slowing down your car to see the accidents at the other lane. You are causing such a massive jam to everyone! I have absolutely no idea why the DUT you guys want to keh po with the accidents that yourself are not involved in. ok . . . the last picture is . . . LOL! anyways . . . it is nice to go see who is the wanted LOL :X . . .
OMG IM SO HAPPY MY BOX IS BACK wtf.